wife. 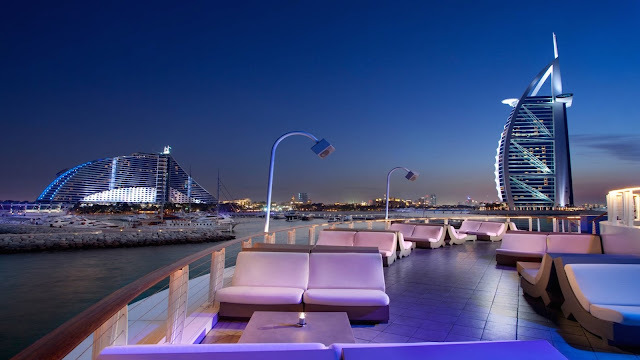 A party to host the sixth birthday of one of Madush's son had been held an year ago at a hotel of this nature in Dubai. Reports were published that close upon a sum of Rs. 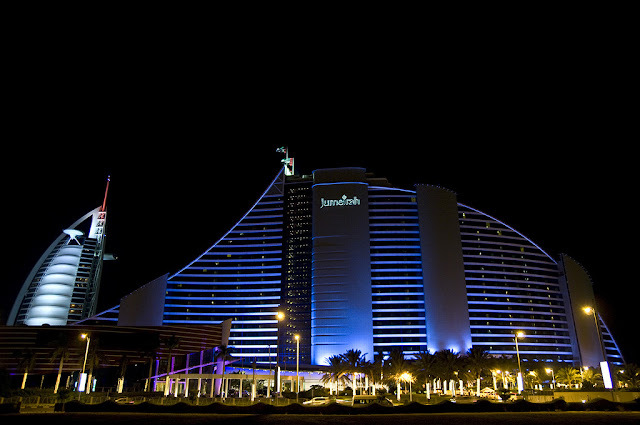 3 crores were expended by Madush for this party at Jumaira Beach. A stalwart of the underworld, Maddumage Chandana Lasantha Perera alias Angoda Lokka has on noticing the police raid when the party was in swing had managed to creep away from there; but on the skill of the police he has been already captured, it is reported. Angoda Lokka by taking the opportunity of making his getaway at the moment when he has come out of the hotel to smoke a cigarette. In the meantime Dubai Police who scrutinised images on security camera system has been able to the man, it has come to be known. 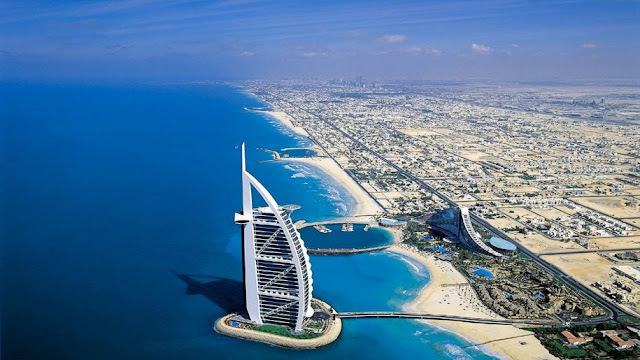 Not only Dubai, a security camera system in that land has been installed to cover the entire Kingdom of Arab Emirates and therefore the operations in that connection had been an easy matter for them, it is said. Angoda Lokka who is supposed to be the main suspect was in fact a wanted criminal by police in the incident where an attack was launched on a prison bus in Kalutara, Ethanamandala area and Samayan who was considered an underground leader who was their rival; thereby killing five accomplices of Samayan as well as two prison officers in the process. That attack had been carried out on orders of Madush. In order to lay the plans for that attack, Madush had come to India from Dubai, it was understood later. 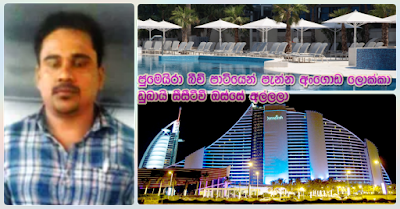 After the said attack, Angoda Lokka has fled to India in a boat with Athurugiriye Rusiya, a close accomplice of the latter and subsequently has made his way to Dubai in the company of Madush. On an issue that flared up on that occasion, they were taken into custody by Immigration and Emigration authorities and it was reported that they were detained for a few days; however, the Sri Lankan government had not been successful in getting him down to Sri Lanka that time. However on this occasion he was well and truly cornered. Though the name Makandure Madush who was arrested recently in Dubai was on the lips of most people, as most people were not familiar with other underground elements who were nabbed there, because their names were not spoken about in the media as such. But the strong man about whom most people do not know is, Kanjipan Imran. He in fact is the boss of Madush whom he got down to Dubai. Kanjipan Imran is the closest colleague of his, staying nextdoor to Madush. Kanjipan happens to be an underworld gangster as well as a man who carved himself a name in the heroin kingdom. He not only got down Madush to Dubai, but is understood to be the person who distributed heroin and even carried out all crime to be effected in Sri Lanka ... through services of Madush. Imran is none other than the next underground leader who took heroin distribution into his hands in Sri Lanka after Kudu Noor of Maligawaththa, after Siddik and then after Syam. He has carried on his dealings focusing on Mutwal and Maligawattha and when he sense that police were on his tracks, he has beat a retreat and gone in hiding in Dubai. From there onwards he has continued his nefarious business by employing Mohammed Rizwan at whose hands of Kosmalli last year in Aluthkade and with Modera Selvi as his accomplices. Those who were against his activities as well as rivals who became a terrible challenge to him were subjected to murder. After Madush was brought down to Dubai, Imran found it easy carry on his activities making Imran his foremost companion. Mohommed Rizwan who was murdered near Aluthkade Court recently happened to be a colleague of Madush, it was revealed. Rizwan who was involved in trafficking heroin underwent a prison term and was released, then started a business of his own later and that was a service called Drop Me through which an order could be placed for renting a vehicle across an a mobile phone app. It is also learned that Madush too has invested 7 crores in the said business. The story goes that Rizwan has lived in Maligawaththa some ten year or so back and that he has had dealings with an underworld gang. According to police records, he had been taken into custody in some incidents that had taken place at that time. Rizwan was an indispensable link in Madush's narcotics dealings. In the same way he was a very good friend of Imran. After it was confirmed that Kosmalli murdered Rizwan in Thuraniya Veediya in Aluthkade on March 16th, 2018 ... it was Imran who goes mentally berserk and in turn demands Kosmalli's head. As such, the contract is handed over to Madush. It was in that manner that Kosmalli is killed. His head was brought and dumped near Aluthkade Court ... sending streams of terror on bodies of those who knew about Rizwan's murder. Madush who was engaged in contract-work for a period of time ... actually began to make use of connections he developed during his stay in prison and from that point onwards he set on his path of becoming a big man in the field of narcotics underworld from the year 2013 and that was with the association he developed with Muslim stalwarts of the underworld. It is said that it is Nawaz of Negombo who changed Madush's fate. Nawaz was the person who taught tactics of distributing heroin. Madush undertook responsibility of all distribution in Puttalam and Kurunegala areas, initially. Imran came to know of maush from the praised showered on him by Nawaz that he would win the hearts of everyone and would dupe everybody and is distributing heroin with a wonderful 'marketing' strategy and that he was a person who would work with clarity and shrewdly. At a later time when Madush began to be confronted with problems, Imran had brought him to Dubai perhaps with the motive of getting a good share of work done by him. Afterwards Madush became the top-notch figure in Imran's heroin racket and subsequently started distributing heroin in Sri Lanka by using Nawaz too who incidentally was the master-guide in the heroin underworld. They have even utilised GPS technology when distributing narcotics. Through this process after confirming the location to which the transactor has come the racketeer would supply the required quantity and obtain his cash across the eZcash method. While heroin of Imran and Madush is sent to Sri Lanka through Angoda Lokka, cash relevant to that deal is collected by Madush's accomplices over here. That cash collected according to the eZcash system is sent to Madush through the Undial method. It was Imran who directed the shooting during the last period by flaring a deadly fright in Colombo. Thus, it is Kanjipan Imran who is directly responsible for 15 murders that happened in Colombo among several killings that took place. The nickname 'Kanjipan' was attached to Mohommed Najiya Mohommed Imran because he has sold conjee near a Muslim mosque in Maligawaththa before he got himself involved in underground activities, it is understood. Imran who worked as the driver of Mohommed Siddik, a frontline heroin racketeer has managed to strengthen underground connections and later had got down to business on his own. In the year around 2015 he fled to Dubai Kingdom. In this manner, before Madush and Imran made their escape to the Kingdom of Dubai the two of them have met each other only at a wedding festival in Maligawaththa area. 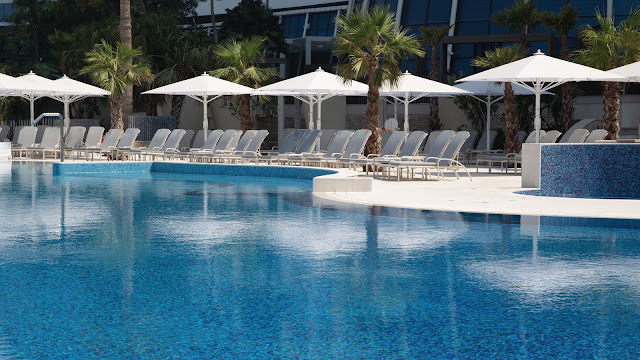 Imran who made his way to Dubai later ges information that his his wedded wife in this country is keeping connections with another male. For that very reason he made his accomplices to shoot her down dead. Imran who is responsible for several outstanding murders was published in the media too about an incident of challenging police and that was not far back .. it was last 7th January. Several days have passed by since one Rizwan was taken into custody after an operations launched by intelligence officers of Colombo Crime Division. On January 7th police constable Amila (70450) of Colombo Crime Division received a telephone call from Dubai. "Do you know who is speaking? I am Kanjipan who is speaking! If any of our men is nabbed ... can see what happens! We know that last year it is you and SI Jagathsiri who arrested all my Colombo comrades. We have all details about you'll. It was because of you'll that all our comrades had to be brought to Dubai. Get way without disturbing our activities. You saw no what happened to Rangajeewa? It was we who did that ... so, if you'll hamper our activities ... not only you'll, you can imagine what will happen to your families also. Madush is with me". Thus Imran who made this threat, disconnected the line. Immediately a telephone call was taken for the same number and this time it was Madush who made the threat. It is learned that Imran and his wife Dufara and child are living in in the adjoining house of Madush in Dubai. Madush lived in congested area such as Al Rafah and Moratabhad. He had got himself employed in a vehicle repairing business with the false name of Ajith Eranga Warnakulasooriya by extending his tourist visa and had lived there. What some other reports say is that he used the name 'Avanka'. As reported, Madush has maintained a close relationship with the son of Police Chief in charge of Al Rafa area. Also, Madush has bought the jeep belonging to that police chief from an auction and had been using it. The two of them have maintained a close connection with Kanjipan Imran and there is information to say that the son of that police chief too had joined in the luxury party of Madush and that when the police raid was in operation, he had scooted away. It was possible to cordon both Kanjipan and Madush at the police raid. By this time they are in prison.